A mutual friend just revealed to me that my husband is having an affair with a co-worker. I don’t know if I should threaten to leave, require him to get help, or stay without saying anything. I don’t necessarily want to end our marriage but I don’t want the affair to continue either. We have three little ones. What should I do? At the risk of stating the obvious, you’re in a devastating and painful spot and I’m very sorry that you may have just discovered something which, I know, feels very raw right now and very much like a betrayal. “D-day” (or Discovery Day, the day one finds out about an affair) is often reflected upon later as a moment which changed your life permanently. First, your feelings are completely normal. You’ve just been thrown for a loop and it’s typical to be confused and uncertain about what to do next. Because of this, I would encourage you to avoid making any quick or lasting decisions right now. It’s worth considering what you’d like the end result to be BEFORE you act. And you have options! – – which range from staying together “as is”, working to make your marriage better and stronger than it was before this happened, or deciding to go your separate ways. If you decide you want the marriage to continue, no matter what, you have two choices; to confront him with this information or to let it go and not say anything. I would discourage you from the latter option, simply because I don’t believe a great marriage—or even a solid marriage—can be built on the basis of deception. There are also health and many other considerations related to affairs. that “looks like” in a relationship, consider this article on What is Trust? Let’s assume again that you want to stay in the marriage and decide to confront him with the information you’ve learned. First, assess whether the report is true. What other evidence do you have that it is? Take reasonable actions to corroborate the story (which is beyond the scope of this post but maybe something I’ll cover in a future one). Leave your children out of it. While I know it’s very difficult to hide your feelings during this time, it will be best for your kids if you keep things as normal as possible. After all, even if your husband is being unfaithful, he likely wants your kids to be as happy and healthy as you do. Choose your timing carefully. Think through the date, time, setting, and mood that will lead to a conducive, respectful discussion about your fears and what you’ve heard. Be prepared for a denial. Many spouses – particularly when surprised – will immediately lie about an affair, only to admit it later when more evidence is presented. Your husband may do this when put on the spot, both to avoid an admission or to avoid hurting you. When/if the denial comes, state calmly that, in that case, you’re sure he won’t mind your checking his phone and other records right then (before he has time to erase anything) to reassure yourself of his veracity. If he pushes back, you can be almost certain that he’s lying. People who have nothing to hide, hide nothing. If your husband does admit it, remain calm and refrain from reacting in an extreme way. While you may want to cry, scream, or run out of the room, it will not help the situation and might make it a lot worse. Tell him that you’ll need to think about your next steps and will let him know once you’ve made this decision. Evaluate his response and make your next move. This next move could involve seeking coaching with us, hiring a lawyer, speaking with a friend or pastor, or praying about what you feel is best. Get clarity about what is most important to you. Whatever you do, do not make threats about what you will do to your husband (like taking the children away) or to the affair partner (like reporting the affair to her bosses at work). The fact is that your husband may be unwilling to give her up so you will need to consider any steps carefully before making decisions that will have a lasting impact on your family. Finally, focus on your health, well-being, and sanity. Reconnect with friends or activities you haven’t done in a while and make yourself happy. Start working out or painting again. All of this will stand you in great stead, whether you stay with your husband. 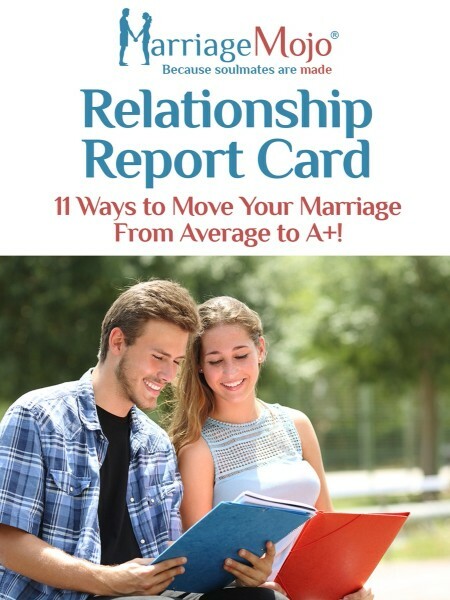 If you DO stay and decide to work on your marriage, be open to addressing those aspects of your relationship that need to be strengthened to ensure that it stays strong and vibrant. check out our blog on Falling Out of Love (and How to Fall Back In). The discovery of an affair is heart-wrenching and challenges every aspect of your life, so please reach out for support. If not to us, then to another professional who specializes in reconciling and rebuilding after marital infidelity. God be with you.